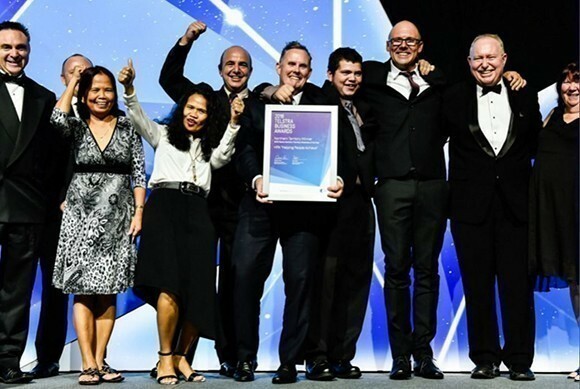 A Darwin charity providing support to people living with physical and intellectual disabilities has become the first Not for Profit in Australia to be named a state Telstra Business of the Year. HPA Helping People Achieve, which was founded in 1963 by the late Harold Garner, currently employs 68 people with intellectual and physical disabilities across two worksites, as well as supporting 35 people to live independently within the community. The Not for Profit was recognised as both the winner of the inaugural Charity Award category and the overall 2016 Telstra Northern Territory Business of the Year at a ceremony on Tuesday. HPA CEO Tony Burns told Pro Bono Australia News it was “absolutely incredible” to be recognised. 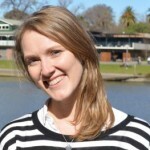 “I am so passionate and driven to make a difference for the sector somehow, there are amazing organisations out there in the community so to be part of that, to be a voice to promote for that sector is incredible. I feel very honoured,” Burns said. “We’re doing some amazing things at Helping People Achieve, we have some amazing staff and we have some great outcomes that we are actually achieving.To get the recognition of all the hard, tireless hours and work that we’ve been doing is amazing. The Telstra Business Awards, now in their 24th year, showcase and celebrate the achievements of the country’s most brilliant small and medium businesses across four categories: New Business, Micro Business, Small Business and, for the first time, Charity. The new category is designed to recognise the significant contribution charities make to Australian communities and the economy. Telstra Business Awards ambassador Will Irving said the awards recognised trail blazers who embodied the innovative, entrepreneurial spirit of Australian business. “This year, we welcome the new Charity Award category to the fold as we continue to update the Awards program to reflect current business trends. We felt it was time for the program to recognise the significant contribution they make to our community,” Irving said. Burns said for a long time the Not for Profit sector had been looked upon as separate from business and it was good to be acknowledged in this sphere. “We have got to run as normal businesses and make decisions that make organisations and charities run successfully, so it is a great step in the right direction and obviously to be the leader in the front to fly the flag is really an amazing opportunity for us,” he said. “It is nice that Telstra and the wider community are starting to look at our sector on a more serious note and see the actual outcomes of what we’re doing. “At Helping People Achieve, we live it every day and obviously that is making a difference in the community. “We have a real true essence of why we do what we do and that message of Helping People Achieve is not just in the crux of the business name, it is the passion behind what we do on a daily basis, all of our outcomes are actually employing people with disability and inspiring the community and then from that it helps their families. NT Minister for Business Peter Styles, who presented the award in Darwin, said HPA was a treasured territory organisation that has been providing supported employment and residential options for territorians living with disabilities for decades. “They are committed to breaking down barriers for territorians with physical and intellectual challenges and inspiring and empowering them to lead fulfilling lives,” Styles said. Telstra Awards ceremonies are taking place across the country this month. So far, the other winners in the new charity category include disability Not for Profit Barkuma, which took home the 2016 Telstra South Australian Charity Award, and the 2016 Telstra Western Australian Charity Award winner Cystic Fibrosis Western Australia. The 2016 state and territory winners will be flown to Sydney for the National final on 26 August.